This hands-on, don’t-miss-it workshop will link your writing (whether published or not) into marketing resources that showcase its hidden potential. Participants will be asked to bring their own writing sample if possible and go through a process of finding its ideal marketplace. Learn about article marketing, the power of blogging and other author marketing ideas. Whether you are a seasoned writer or just starting out with your author platform, this workshop will help you find the marketing niche that is unique to your writing. Handouts of useful lists and sites to use will be provided. You’ll go home with new ideas on linking your writing to the world out there waiting for it. Workshop will be held at the Aurora Public Library (Magna Room), Sunday November 4th, 2018, from 1:30pm to 4:30pm. Preregistration ends November 2nd, 2018. 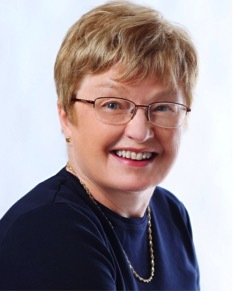 Elaine Cougler is the award-winning author of historical novels about the lives of settlers in the Thirteen Colonies who remained loyal to Britain during the American Revolution. Cougler uses the backdrop of the conflict for page-turning fictional tales where the main characters face torn loyalties, danger and personal conflicts. Her Loyalist trilogy comprises The Loyalist’s Wife, The Loyalist’s Luck and The Loyalist Legacy, all available on Amazon.